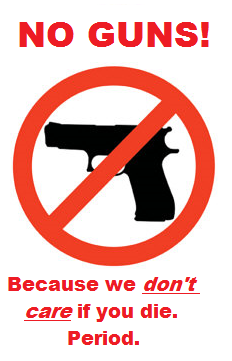 Kent's "Hooligan Libertarian" Blog: Orlando- "no guns"
Delusional indeed. How can the anti gun crowd believe they can filter out all the bad guy guns? Theycan't. Yet they feel good they've at least 'tried to do SOMETHING'. And of course they remain true to their statist principles in the pursuit.